Catholic Fried Rice: Am I my brother's keeper? There's just too many things going on my head. So why not a post from my stream of consciousness? I'm not going to go into super detail (although, I could and I have many times this past week), but this is one of my few ideas I'm genuinely excited about and feel like I tell everyone about now, and everyone I do tell shares my excitement. How do I reach my Latino men? Make an equipo de futbol, a soccer team. That plays for something bigger than themselves---a new generation of men that value life and breaks the cycle of fatherlessness. Men on this soccer team will not only train as soccer players, but will agree to take formation from each other on how to be better men, to pass on to the next generation what they wish their fathers told them or what their good fathers did share with them. And since I've sparked the idea literally a week ago, I have a soccer coach, I have a media designer, I have someone who jokingly but seriously offered to sponsor (at least in part) some of the jerseys. It encompasses what I believe think every man deserves and what every alive man I know have: good fathers and good brothers (not necessarily by blood). Are we not our brother's keeper? Yes or yes? Do we want to break the generational wounds of fatherlessness and the father wound of an abusive or absent father? Yes or yes? I am a Portero por la vida. I am a Keeper for Life. Join us and let's encourage others to be keepers for life, too. I ran into a man today, who I have talked to on and off since last Fall. Today, I found out that this man in full shirt and tie, seemingly put well together, is...homeless. Now as I write this he is sleeping in a shelter and has been there for awhile, and before that he's been living out of his car. Now I've done my fair share of homeless food runs, going out to the parks at Farragut North at night during my CUA days, handing homeless guys hot cocoa and joking about the weather, or I've gone to SOME and handed out breakfasts, but this man, a friend and someone I know... homeless? Someone who's biggest financial worry at the moment is paying for gas to get to place to place? I won't go too much into his story to protect his anonymity, but it just proved to me today that I can never judge again anyone's story based on appearances alone. Lord, guide me to do what's best and what I can for this friend of mine. 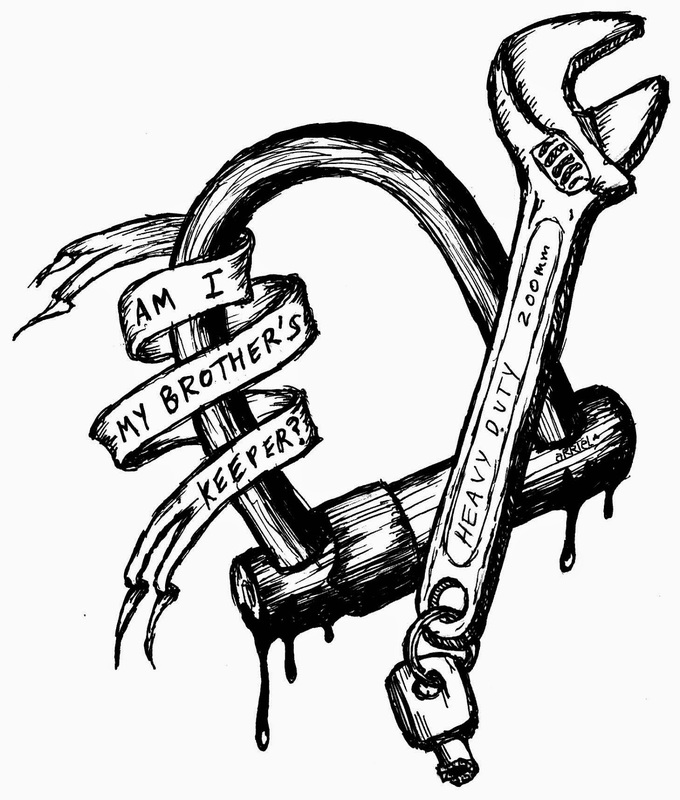 Am I not my brother's keeper? yes, Lord, and show me how. God be with my friend and all of those in shelters tonight. Lately I've been reading a book that has been reflecting on the idea of mistakes from omission, not commission. Not the things we fail to do, but the things we fail NOT to do. Will I not act? No, I will never murder a fellow brother. But is sitting while he suffer any better?